Realtor innovator Bill Clark of Earthpoint.us first introduced an innovative interface for finding houses in Boise, Idaho using Google Earth. He has continued to innovate with real estate interfaces since that time. In particular, he has created a number of useful tools for projecting the US Public Land Survey System (read a Wikipedia article about PLSS). 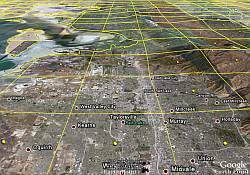 Using his Township and Range web site you can determine what township a property belongs to and plot it in Google Earth and compare the land to the satellite photos. 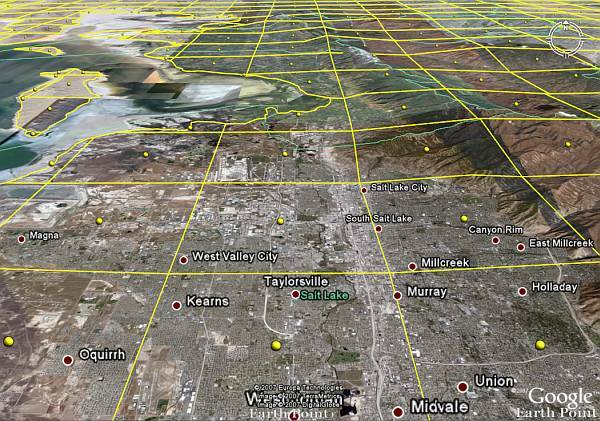 It also lets you load files to view different datasets of the townships as overlays in Google Earth.